The X7000 Harsh Environment Touch Computer is engineered specifically for tough production areas. Featuring a fully sealed stainless steel enclosure combined with IP67 / IP68 rated connectors, it creates a strong solution for virtually any industrial application including food processing and manufacturing. 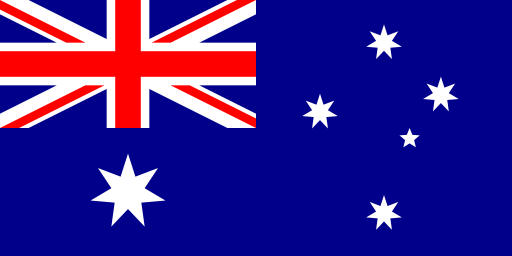 The X7000 Rugged PC is a proven solution and is trusted by companies in Australia, New Zealand and around the world. Suitable for use in a range of industries, the X7000 Harsh Environment Touch Computer has options for outdoors, under direct sunlight and in variable temperature conditions. Protection against environmental factors such as water, dust, humidity, salt, chemicals, dirt and temperature extremes make the X7000 stainless steel PC, a preferred choice for industrial applications and Tough or Harsh Environments. The X7000 Harsh Environment PC has proven itself in reliable, continuous 24/7 operation in extremely challenging conditions. The X7000 durable computers are built-to-order and are offered with a customer’s choice of display size (from 8 to 100 inches), touch type (Resistive or PCAP), CPU (2.4GHz Intel® Quad Core or 2.8GHz Intel® Core™ i5) and port configuration options. 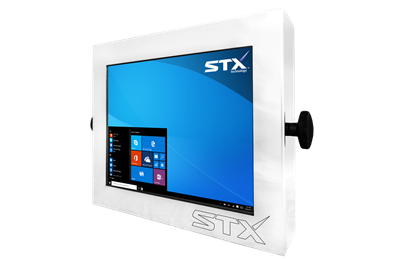 STX Technology has a wide range of upgrades available for the X7000 product range. Devices can be manufactured with high brightness 600 or 1000 nit screens for extremely bright and outdoor applications. A 316 electro polished stainless steel enclosure can be installed for use in extremely corrosive environments involving chemicals or sea salt. 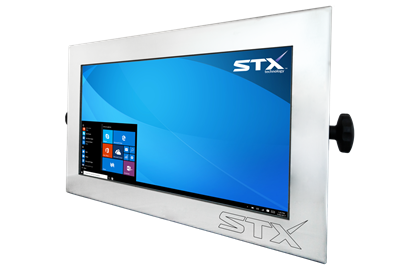 STX Technology offers a wide selection of computing solutions for industrial applications and environments. Speak to the STX Team to discuss the requirements of your project and request a free no-obligation quote.